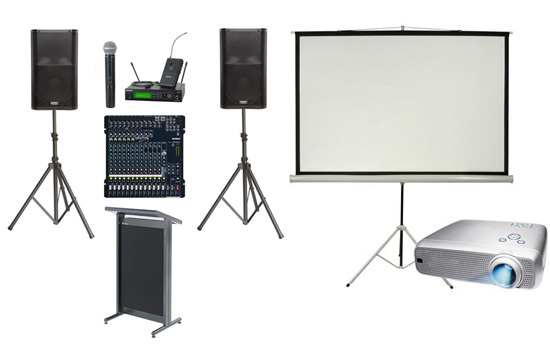 We offer the most popular AV equipment as a bundle, with substantial savings over hiring the individual components. These packages are particularly attractive if you are intending to hold your wedding, conference or event in a hotel or function centre. These venues usually try to supply you with their in-house AV which can cost up to 5 times our price. We do hold a comprehensive public liability insurance policy, so delivering and setting up our equipment in these venues is not a problem. There is a small after hours surcharge if, for example, you need pickup after 10pm. These prices include setup and sound-check. If you require one of our sound engineers to stay and operate the system, please add $60 per hour.